Colegrove, a senior, won his second consecutive 215-pound state title on Saturday, finishing with a 35-0 record by pinning Eaton Rapids’ Clayton Higelmire in one minute, 34 seconds in the MHSAA Division 2 wrestling individual state championships at The Palace of Auburn Hills in Auburn Hills. 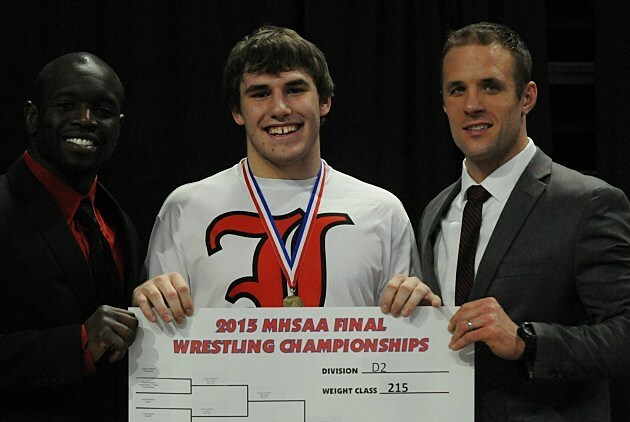 Hall, a junior, also won his second consecutive state title Saturday. He defeated Bay City Western’s Noah Schoenherr by a 14-0 major decision at 119 pounds to finish 37-1. He had won at 112 pounds in 2014. Dean, a junior, won his first state title at 130 pounds, defeating Parma’s Luke Raczkowski by an 8-3 decision in the championship. That netted him company with a couple of state champion cousins from Lowell, Max Dean and Gabe Dean. 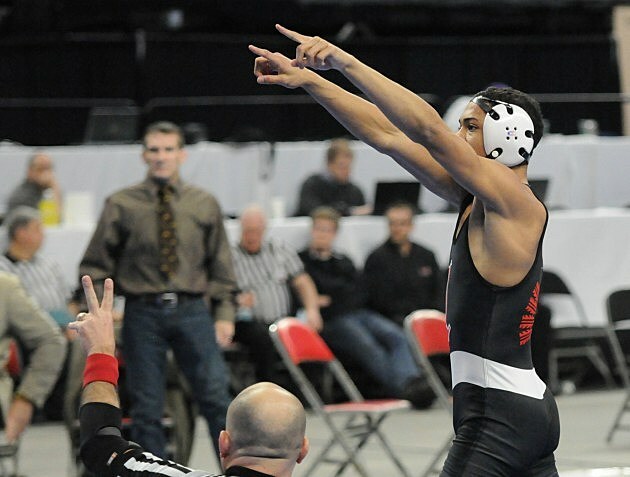 At the individual state championships, seven of Lowell’s 10 state qualifiers placed. 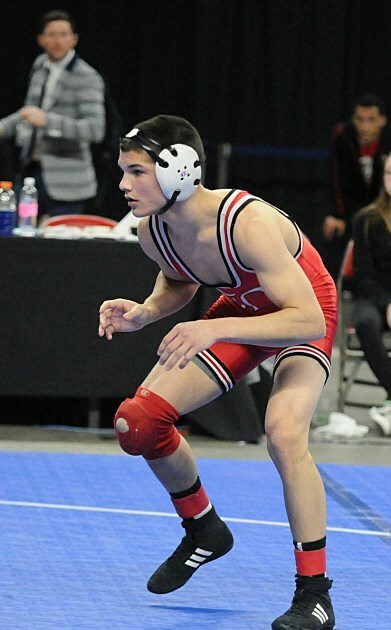 That wasn’t all the surprising when considering that the weekend before the Red Arrows had won their second consecutive Division 2 team title, defeating Eaton Rapids 40-16 in the championship match at Kellogg Arena in Battle Creek. Boudro points out one wrestler this season at 103 pounds went 22-2 and didn’t get to wrestle in the postseason. “It’s tough as a coach,” said Boudro, who had eight seniors on this year’s team — with four as starters. In addition, Colegrove is a three-year starter for Lowell’s football team; Dean is a starting cornerback for the football team; and Hall is active with Lowell’s Rotary Club-affiliated Interact community service program. All are also solid in their academics at Lowell High, with Dean among the top students in Lowell’s Class of 2016 with a 4.3 grade-point average.